time for the hot weather finally decided to grace Ohio. a hospital or burn center. Water-Jel is scientifically designed to draw the heat out of a burn. without losing temperature around the area of usage. Water-Jel is primarily composed of deionized water, thickened to help it stay in place, and a small amount of Tea Tree Oil, a natural bacteriostatic. inside and out of the sun as well as giving him cool baths. But his back started turning purple instead of starting to heal. So I started using the Unburn on him and Jake took him to Stat Care along with the Unburn. The doctor said that Pumpkins burn was starting to heal and that we needed to keep out of the direct sun for a week and to keep applying the Unburn. Which is very hard to do with Pumpkin being a very active 3 1/2 year old. skin. It is made to be non-staining and also contains Aloe, Vitamin E, Spearmint Oil and Tree Oil. use. I have now used it on Bubba and Pumpkin when they have had sunburns this summer and neither ended up with skin irritation from it even though they both have sensitive skin. Who: This Giveaway is Open to US & Canada!! You MUST provide your e-mail address on each comment. +1 Follow "Andersons Angels" via Google Friend Connect Publicly and tell me one thing you learned from this post. +2 Tweet about the giveaway tagging @AndersonsAngels and @BurnMD include a link to the giveaway - include link - can be done daily. This giveaway will end on July 11th, at 10:00 pm EST. try to be honest when giving a review. a hospital or burn center. which is awesome.. I know that what you put on a burn before seeing the doctor can be an issue if it does not wash off easy. Like "Andersons Angels" on facebook. 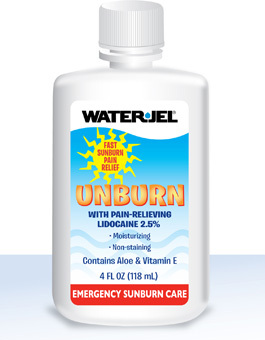 I learned that this product will help sooth my sons sunburn because it has lidocane in it. I "like" Anderson's Angels on facebook. My user name is Darlene Arnold. Gfc follower. I learned that the product actually stops the burning process. I am following your blog via Networked Blogs. My user name is Darlene Arnold. Follow via GFC and I learned that UnBurn has lidocaine in it. gfc follower of AA, i learned that you use differnt things for different types of burns(sunburns im referring to) i just always grabbed the vinegar for sunburns. I follow you via gfc and learned tons! I like that it is mainly deionized water! 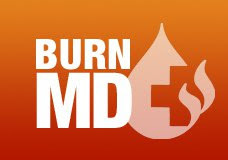 I like Burn Md on fb! I follow Burn Md on twitter!